OK, I knew Ramon meant the Disney Condorman played by Michael Crawford but I just couldn't bring myself to draw the costume. 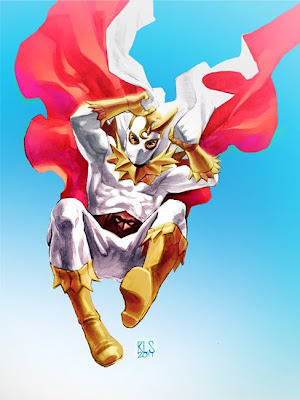 Luckily, there's a Japanese Condorman that has a much cooler costume so I did that version instead. Awesome, Ron. 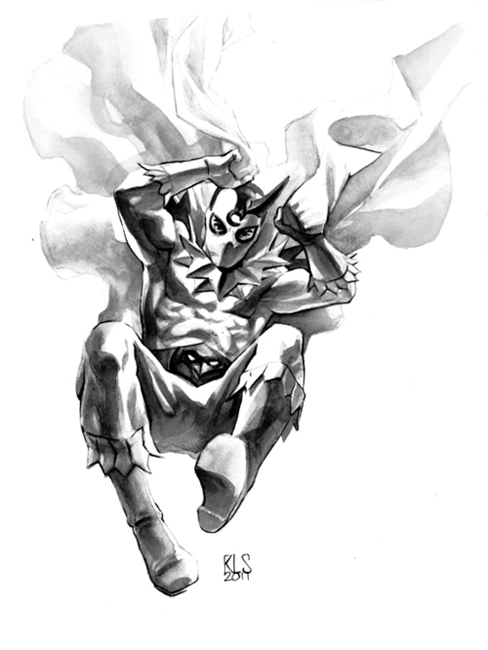 Your inkwash skills really shine in this piece! Fantastic!!! haha Yeah. The guy that played the Japanese Condorman was a former race car driver which is probably part of why they gave him the job in the first place! can you re-post the b/w version with it though? i'd love to see them together. Thanks Tom! I've re-posted the b&w version.